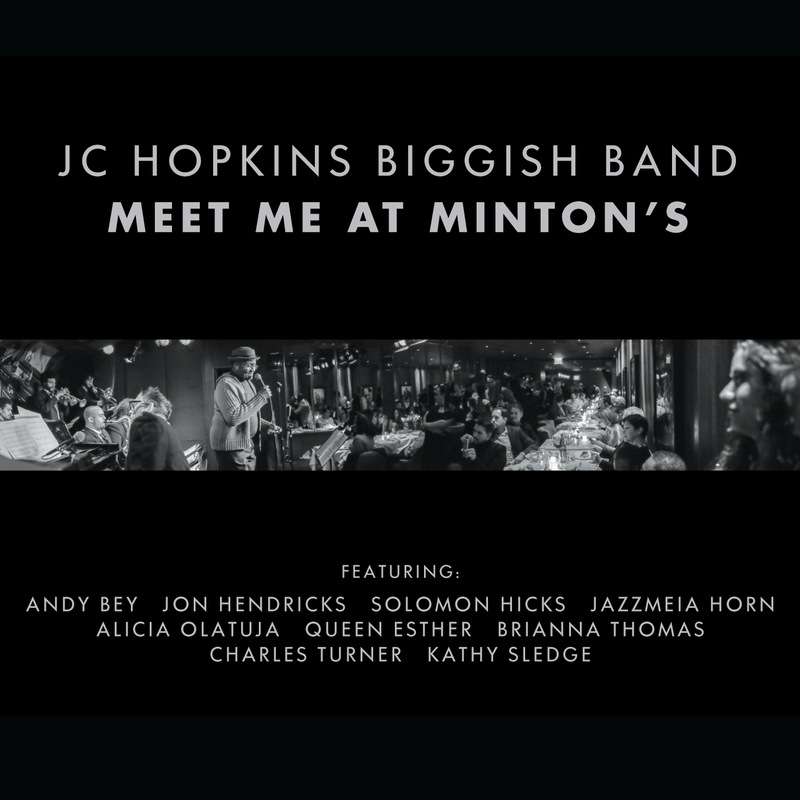 Pianist JC Hopkins puts together a swinging big band that features punchy reads of swinging standards, and with vocalists including Andy Bey, Jon Hendricks, Queen Ester and newcomer Jazzmeia Horn, a solid hour plus of toe tapping tunes makes the music go down easily. The band is peppy for Biranna Thomas’ clear voice on Hopkins’ own “Remember When,” while Thelonious Monk’s “In Walked Bud” has some hep vocalese by jazz vet Jon Hendricks. He comes back for a cozy duet with Jazzmeia Horn on “How I Wish (Ask Me Now)” with the young lady sounding encouraging and luscious on the upbeat “What is Love.” Bey is sorghum thick on a bluesy “Looking Back” while Solomon Hicks smokes through a 18th and Vine read of “Alright, OK, You Win.” Never a dull moment on this session made for dancers only.